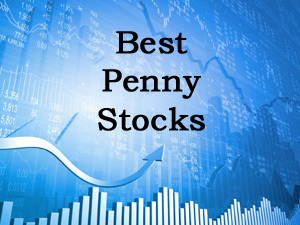 best penny stock for day trading? Penny stock volume is low so it is not recommended for day trading. Hi Sir, I have 50k penny stock shares of JCT ELECTRONICS LIMITED. This company has been de-listed. So please let me know, what can i do to get my invested money back. As i am new in this field and having very little knowledge. It is very unfortunate that stock of company is de-listed.In this case first you need to find out why company stock has been delisted. Forced de-listing leaves investor no options but to sell at whatever price is decided, which may be less than the actual value. De-listing by Operational law where company stock is delisted due to operational problem. You have two option.There are brokers who deals in delisted shares you need to find out such brokers and second option is to Write a letter to company’s compliance officer, that you are willing to dilute your share holdings. I have purchased Infosys in bulk it’s been more than a year but I do not see much gains in it.. Now due to the Brexit don’t know what’s the impact..
Stay Invested in Infosys.Long term you will get advantage. R T Export is good penny stock.However,you need to wait for 1 or 2 years to see gains. You can invest in R T Exports,SRS Ltd,HFCL,Rain Industries.However, please remember Investment in penny stock is risky affair and you may end up losing money. Please invest in Lupin,Sun Pharma,Titan,M&M,Pricol.These stocks are recommended for long term investment.